Speaking to World Watch Monitor last week, Inganji called on “all actors to sit around the table to have a shared analysis and joint planning, in order to cut the vicious cycle of violence, and respond according to each other and everyone’s mandate”. CAR fell into chaos on 24 March 2013 when a predominantly Muslim coalition of rebels, known as Séléka, ousted President François Bozizé and took power. Six months later, in September 2013, Séléka’s leader, Michel Djotodia, who had proclaimed himself president, disbanded the group and in January 2014 resigned as president, to be replaced by Catherine Samba-Panza. Recent violence in the eastern village of Séko and its surroundings claimed 46 lives, including that of a priest. Father Joseph Désiré Angbabata, 49, was killed when UPC militants (a Séléka offshoot) stormed his Saint Charles LWANGA parish on Wednesday, 21 March. Details provided by OCHA revealed that 10 children were among the victims, and as many as 19 villages were burnt down on the 100km stretch of road between Bambari and Ippy. As a result, thousands fled their homes and are now living in three newly built camps, including one within the compound of the Catholic Church in Séko, which alone is housing more than 5,000 people. Inganji told World Watch Monitor the protection of civilian remains a major concern and that, in the absence of a functioning national army (disbanded in 2013 when Séléka took power), the UN’s Multidimensional Integrated Stabilization Mission in the Central African Republic (MINUSCA) has a key role. However, he said the UN peacekeepers need to change their modus operandi because the conflict has evolved. Injanji said development agencies must address the root causes of the conflict by turning their focus to conflict-resolution, reconciliation, security-sector reform and DDR (disarmament, demobilisation and reinsertion). Some 2.5 million people – more than half of CAR’s 4 million inhabitants – are now in need of humanitarian assistance, the highest per capita caseload globally, according to the UN. Despite the deepening crisis, humanitarian funding is currently at its “worst” and “lowest” level, deplores Inganji. So far, only 2% of the $515.6 million dollars needed has been funded. 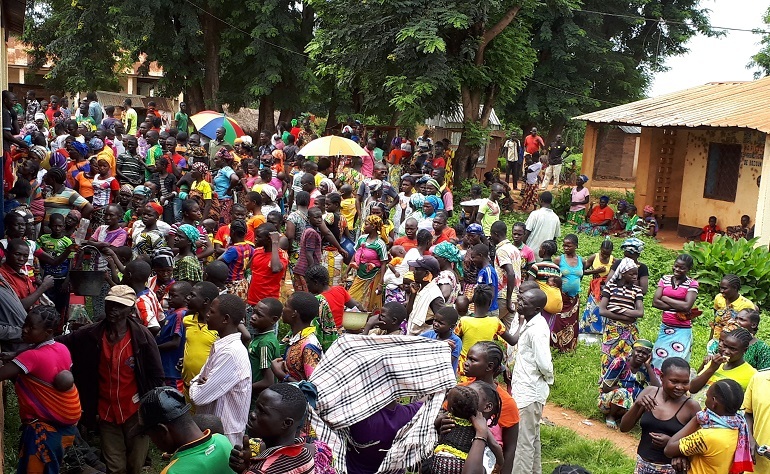 The violence in CAR is often portrayed as a sectarian conflict, but the country’s top three religious leaders – who head up the CAR’s Interfaith Group – say the conflict relates more to land- and resource-grabbing. 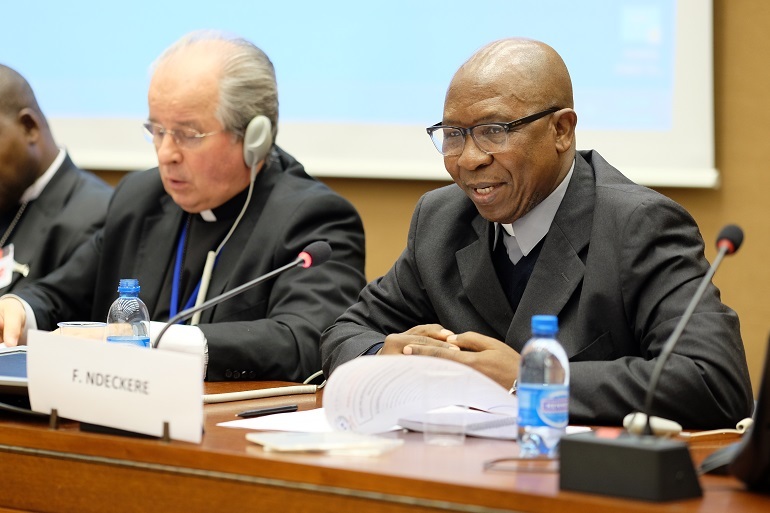 On 20 March, during a briefing at the UN Office in Geneva, Cardinal Dieudonné Nzapalainga, the Archbishop of the capital Bangui, denounced the “business of war” developed by armed groups in order to continue to exploit the resources of the country.